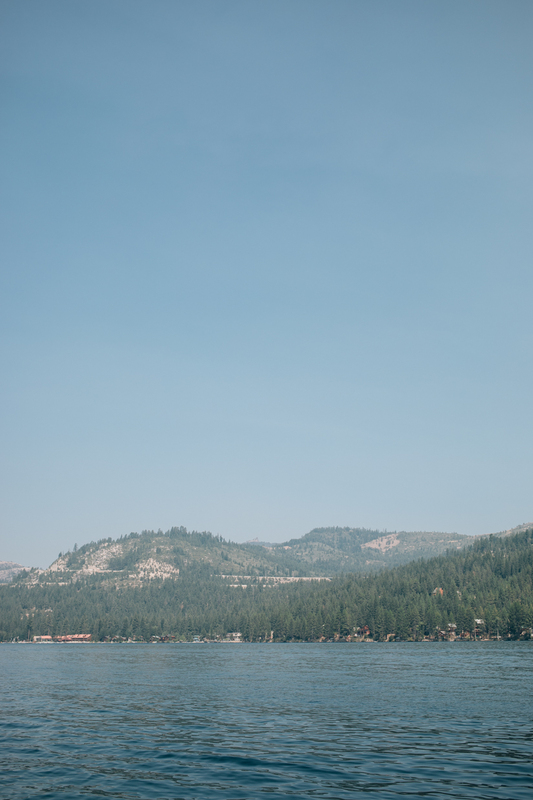 This was our second trip up to Donner Lake to watch our friends partake in the Annual Donner Lake Swim - that's 2.7 miles of straight swimming! We rented a cabin on the lake, complete with a private dock and it was pure perfection. 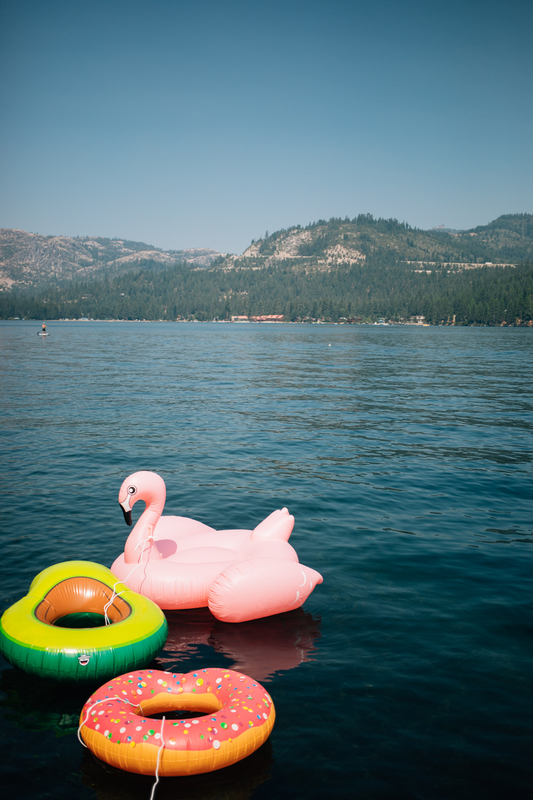 We brought colorful floaties, hung out in the sun all day, and then made some delicious meals at the cabin. Of course, we brought Charlie who enjoyed swimming in the lake more than the rest of us. I absolutely love this new annual tradition and, even though Chris and I don't do the swim, it's super fun cheering our friends on at the finish line. Plus we get a lovely weekend out of it!